Tiara Investigations detectives are former Georgia beauty queens, now in their late-40’s. When they’re at the scene of a murder and cannot give a single clue, a police detective with a grudge against them sees a perfect opportunity to shut them down. To save their agency they’ll have to stay one step ahead of him, and to save themselves one step ahead of the killer. And then there’s the matter of their own husbands knowing nothing about their enterprise. 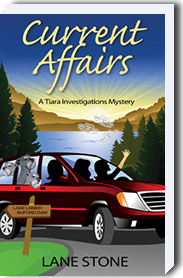 In DOMESTIC AFFAIRS: A Tiara Investigations Mystery, when a prospective client is found dead and all clues circle back to the Southern former beauty queens turned detectives, they’re pulled into solving another murder. In the second installment, their significant others still know nothing of their successful agency, but are having suspicions that are hard to ignore. 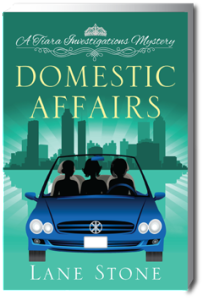 “Foreign Affairs” is one of twenty-five stories in COZY CAT SHORTS. This time Leigh, Tara and Victoria go to the end of the Earth to catch a killer. Weighing in at around 15,000 words, it’s a novelette. Enjoy it here for free!